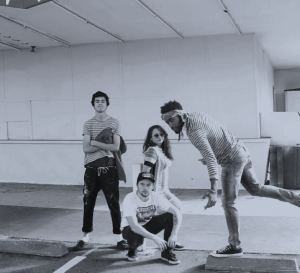 Unlikely Heroes is a psychedelic Hip-Hop/Punk band from Oakland, CA. This band has been making waves in and outside of their local scene with exciting/introspective jams that leave concert goers physically drained and mentally well-fed. They are releasing their self titled debut EP 4/7/18 that has been long awaited for by fans and playlist curators throughout the U.S. and overseas. This band has been compared to a unique blend of rapper Kid Cudi and band Rage Against the Machine for their witty/catchy conscious lyrics and unique blend of psy-punk beats that flow seamlessly even in their genre stretching style.